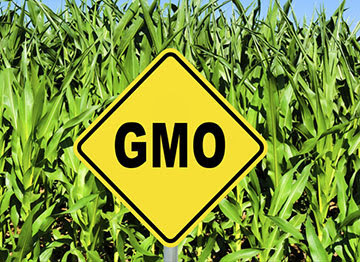 The vast majority of corn and soy grown in the U.S. (>90% ) is genetically modified, therefore any food containing corn or soy that is not labeled “organic” or “non-GMO” is likely to contain GMO corn or soy. Yes this includes those corn chips at your favorite Mexican restaurant. Consumer Reports recently tested over 80 different processed foods with corn or soy ingredients to see if they contain GMOs i.e. Genetically Engineered (GE) DNA. This included popular breakfast cereals, bars, corn chips, corn tortillas, baking mixes and flours, meat substitutes, soy “dairy” products, and tofu/tempeh products. They purchased and tested conventional products (with no label claims), organic products (which are not permitted to contain GE ingredients) as well as products with a Non-GMO Project Verified Label (which should contain no more than 0.9% GMO ingredients and have verification testing), and products with a “natural” label (which are not required to be Non-GMO despite the fact that many consumers think and believe they should). Almost all of the samples of conventional products tested contained GE corn and/or soy and the majority of the corn and or soy DNA in most of these samples was GE. This included popular brands in all categories, except soy dairy and tofu where they did not encounter any conventional products. Products that had either an “organic” label or a “Non-GMO Project Verified” seal had negligible levels of GE corn or soy (0.9% or less) in samples. Since these labels have third party verification, they are the most reliable and consumers looking to avoid GMO ingredients should look for products with these labels. The majority of samples of products that came from a manufacturer that made a “non-GMO” claim but was not certified by an independent third party also contained minimal amounts of GE corn or soy (0.9% or less). Virtually all samples of products with a “natural” label (in the absence of an organic or non- GMO claim) had comparable levels of GE corn or soy as their conventional (or unlabeled) counterparts. According to a recent national poll conducted by Consumer Reports the majority of Americans expect products with a natural label to not contain GMO ingredients. Consumers who want to avoid GMO ingredients should avoid products labeled “natural”. This label is meaningless and misleading consumers. Consumer Reports is asking the government to ban its use on food. Samples of soy based infant formulas contained mostly GMO soy unless they carried the organic and Non-GMO label, in which case GMO content was minimal. Consumers looking for soy formula without GMO ingredients should look for USDA Organic or Non-GMO Project Verified seals. Yet another reason to avoid processed food. To see which brands made the non-GMO list, go here.